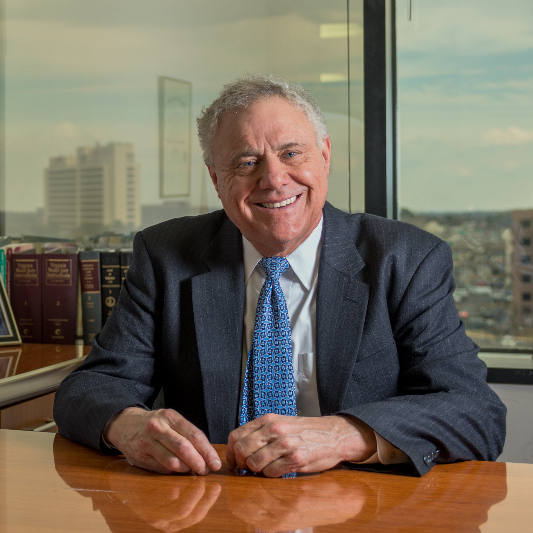 Since 1975, Leon S. Demsky has been providing expert legal advice and advocacy in Northern Virginia. His practice includes criminal, domestic, bankruptcy and personal injury. Mr. Demsky is an experienced litigator, and has handled hundreds of civil and criminal jury trial cases in his career as well as thousands of appearances in various General District Courts. Mr. Demsky’s approach to legal representation is honest assessments of cases, and the highest level of care and attention to detail. He understands that his clients are often dealing with stressful, potentially life-altering legal consequences. His clients can expect him to understand the uniqueness of their situation and work with them to navigate the most trying times of their lives. Over the course of his extensive career, Mr. Demsky has had the pleasure of working with his closest friends and colleagues, and by retaining Mr. Demsky, clients have access to the knowledge and expertise of his associates’ experience in various fields of law. Mr. Demsky received his B.A. degree from Pennsylvania State University in 1972 and his J. D. from University of Richmond School of Law in 1975. He has held membership in the American Bar Association, Virginia Bar Association, Arlington Bar Association, Fairfax Bar Association, Virginia Trial Lawyers Association, and National Association of Consumer Bankruptcy Attorneys. For the past 41 years , Mr. Demsky has worked extensively throughout the area, with a focus on Arlington, Fairfax, Prince William and Loudoun counties, as well as the City of Alexandria. His practice has taken him to over 20 different jurisdictions in the Commonwealth and he has numerous trials and hearings throughout the State. He has a good working relationship the Courts and the Prosecution in Northern Virginia and his results usually leave his clients more than satisfied.